Nova Southeastern University (NSU) President and CEO George L. Hanbury II, Ph.D., recently announced that a NSU research team led by Mariana Morris, Ph.D., and Nancy Klimas, M.D., was selected by the U.S. Department of Defense (DoD) as one of two DoD Gulf War Illness Research Program Consortium awardees. The award includes a $4.1 million grant to fund NSU's research project titled "Understanding Gulf War Illness (GWI): An Integrative Modeling Approach." The research will be housed in the Institute for Neuro Immune Medicine, part of NSU's College of Osteopathic Medicine. "Projects like this help us fulfill our core value to conduct research that not only advances human knowledge, but makes a real difference for mankind," said Hanbury. The consortium combines leading scientific researchers with expertise in basic and clinical research along with those with expertise in stress response and heart function models, genomics, computational models that isolate therapeutic targets, and guide drug development, formulation and testing. "This grant allows us to find ways to help hundreds of thousands of men and women who risked everything to serve their country and are now facing adverse health effects," added Gary S. Margules, Sc.D., NSU vice president for research and technology transfer. "This consortium provides an opportunity to advance our understanding of Gulf War Illness through discovery of biomarkers to more accurately diagnose and treat this syndrome," said Col. Wanda Salzer, M.D., director of Congressionally Directed Medical Research Programs (CDMRP). "Working as an integrated team, the scientists, clinicians, and veterans at these accomplished organizations will be able to establish synergy and collectively develop research strategies which may unlock the pathways leading to the regulatory dysfunction in Gulf War Illness." Col. Salzer added that the long-term goal of the CDMRP GWI research program is the investment in a lasting infrastructure of relationships among the participating organizations fostering continuing research collaborations and future clinical trials focused on GWI. 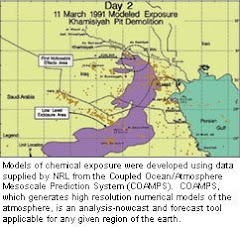 GWI is a medical condition that affects veterans and civilians who were exposed to a number of dangers, including chemical weapons, during the 1991 Gulf War. Symptoms can include chronic headaches, widespread pain, cognitive difficulties, debilitating fatigue, gastrointestinal problems, respiratory symptoms, and other abnormalities that are not explained by established medical diagnoses or standard laboratory tests. 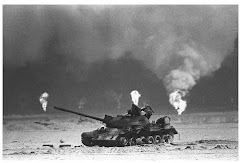 At least a quarter of the nearly 700,000 soldiers who fought in the Gulf War suffer from GWI, according to the U.S. Department of Veterans Affairs' Research Advisory Committee on Gulf War Veterans' Illnesses. "Our goal is to develop a better understanding of GWI and understand specific causes so we can find treatments to address these causes, rather than focus on the symptoms," said Klimas. "This consortium will integrate our clinical understanding of the disease process with basic research efforts using a novel mathematical model." It has been established that GWI is caused by a disruption in normal cell signaling that results in disabling symptoms including fainting, low blood pressure, fatigue, and pain. This is primarily due to disruptions in normal immune, cardiovascular, and hormone signaling. However, the exact cause of this disruption is not well understood. The goal of the consortium is to pinpoint the causes of GWI using a multidisciplinary approach. The project will involve integrating basic and clinical research using a computational systems biology method to correlate data between the physiological compartments and levels of biology from basic models to human patients. This will allow them to tailor treatment more effectively using drugs already approved for other illnesses. At the end of the four-year study, the consortium plans to complete early studies in human patients and be able to pursue larger-scale clinical trials for further drug testing. "By increasing the understanding of the reasons for GWI, our consortium will advance the diagnosis and treatment of the disease," said Morris. "Specifically, our more detailed understanding of the dysfunction involved in GWI would greatly increase the speed to identify targets for improved diagnosis as well as selection and testing of more specific treatments over the longer term that will address the causes of disease." Mary Ann Fletcher, Ph.D., NSU-COM's Schemel Professor for Neuro Immune Medicine. The team is affiliated with the research service of the Bruce W. Carter Department of Veterans Affairs Medical Center and Miami VA Healthcare System. Klimas is also affiliated with the VA's medical service.